Brushing and flossing your teeth daily is an essential part of achieving and maintaining great oral health, but it’s not the only part. In order to reach optimal oral health, you also need to visit your dentist regularly for your checkup. While it’s recommended that most people get a dental checkup every six months, your dentist may recommend more frequent visits depending on your dental history. 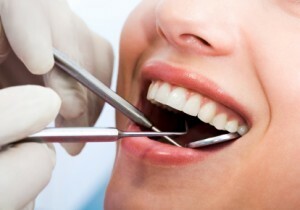 Your dental hygienist will clean and polish your teeth to remove all tartar, plaque, and stains. Your dental hygienist and dentist will examine your teeth, gums, and mouth for any changes or signs of any problems. Your dentist will show you how to brush and floss more effectively, if necessary. Your dentist may decide to take x-rays of your teeth to look for decay, gum disease, or other dental problems. Don’t wait any longer if it’s been more than six months since your last dental checkup. Schedule an appointment with our experienced dental team at Country Isles Dental today.